In this video, Brian will show you how to take apart the Krytac Trident CRB and then put it all back together. Great video to teach you the needed steps to install new parts for upgrades. JAG Precision has several options for lights and lasers. Today they will cover a small selection of what is available to the milsim community, what they do, and how to install and use them. WARNING: It is illegal to point lasers at aircraft/in the air. Do not point at people or animals. These lasers are for decoration and can cause harm. SpecShop.pl added to the offer a new replica, that may interested many reenactors – P38 L from WE. GBB replica was made entirely from metal. Hand grip with anti-slipper pattern was made of polymer. After last shot, slide remains in rear position. Hop Up is adjusted with hex key added to the set. Metal magazine contains 14 BBs. Moreover the store obtained a delivery of professional tactical belts from Bayonet.pl company. Bayonet is a Polish company manufacturing high quality belts, made of the best elements, without any compromise in quality and durability. Each belt is equipped with rescue buckle from AustriAlpin company with strength certificate, Pasamon military tape with strength certificate and Ariadna S.A. TITAN threads with a strength of at least 5.5 kg. Moreover, the store got a delivery from British company True Utility as well. True Utility® is a British design company that specialises in stainless steel gifts, gadgets, and key-ring accessories. Creating clever things for key-rings, True Utility® provides people with minimalist and practical solutions to everyday problems. Many products are manufactured using high grade stainless steel and aircraft grade aluminium, these products won’t let you down. Browse through our extensive pocket tool range – there’s something for everyone. The 20th Hooha Show in Taipei, held Aug. 26-28, 2016, drew to a thrilling close with the speed shooting contest drawing marksmen from all walks of life having raised the bar. Jesse Chu eclipsed last year’s 1.63 second record set by Yang Yi-jin by a mere 0.01 second to become this year’s champion, without relenting on the last day of the contest to record 1.63 seconds to win the bonus prize handed out by the CEO—the Modify XTC-G1 Extreme Tactical Carbine valued at about NT$11,360 or US$360. Jesse deserves another round of applause. Obviously age is irrelevant to marksmanship for Eaad Edward stole the show by being the youngest shooter to win the second prize with a time of 1.78 seconds—the newest Modify MPI 22T Torque Motor. Incredible performance! The biggest airsoft gun trade show across Taiwan and HK included many new product launches that even attracted the internationally famous airsoft sniper－Novritsch, who sparked plenty of buzz at the showground. What an awesome weekend! Huge numbers at the GI weekender as well as 30 each day at Tuddenham’s Battlefield skirmish weekend. Both events had a great social on Saturday night, with live music and a BBQ at the GI weekender and big screen movies and BBQ at Tuddenham. Some great airsofting at both events as well – thanks everyone! This weekend we continue our Battlefield series at our new home in Norfolk – Top Dog Paintball site just outside of Norwich. Next weekend we will be finishing our Battlefield series back at Tuddenham for another FilmSim event as well as a night game on Saturday. Sunday 4th Sep – Battlefield at Norwich! This will be our first game at the new site, so we will try and use as many areas of the huge playing zone as we can. This is a great opportunity to try out the new site – it’s only £20 walk on or £15 with a valid loyalty voucher! We have a caterer on site selling bacon butties in the morning and burgers/sausage baps at lunch time – please let us know if you want feeding so we can give them an idea of how much food to bring. The night game is now included in a weekend ticket as well as free camping, that’s two full days’ gaming plus a night game all for only £40! If you haven’t experienced the “SHAZAAM!” pads yet then come and give it a go. Please note, while the weather continues to be as hot as it has been the last couple of weeks we will be putting ALL gas weapons through the chrono, as GBB pistols can easily exceed 350fps on black gas at these temperatures (as several very surprised pistol owners found out on Sunday!). We always require owners of NBB pistols, extended barrel pistols, gas rifles and CO2 powered guns to chrono anyway. If your gas gun is running close to the limits at the start of the day, please get it checked again after lunch as the temperature will have gone up. Hazard 4 Quiz – last chance to enter! Back To School Sale – 10% Off!! 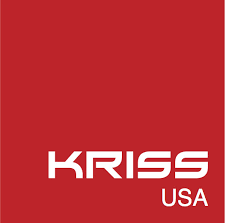 For more information about KRISS USA and the KRISS Vector visit www.kriss-usa.com. As a side note, yes that is Tim (formerly of Airsoft GI) and the same chap reviewing the KWA KRISS back in 2013. The long awaited Tokyo Marui Kel-Tec KSG shotgun is soon to be released! LWA is happy to announce we will be taking pre orders for these shotguns right away! These pump action gas powered shotguns have a selectable 3 or 6 round shot option, sending bbs down 3 separate barrels. Any metal part on the real KSG is replicated in metal on the TM version, with a metal inner frame to add strength. There are also 20mm picatinny rails on the underside of the fore grip and above the barrel for any scopes, grips, flashlights or lasers you want to slap on! The gas is stored in a removable tank (extras available on pre order) which is situated in the rear of the shotgun. Expected to be with us in store second half of September. Hi, check out the latest deliveries in Gunfire. We have just received new delivery straight from Taiwan – Lonex is here! The brand is very popular among airsoft technicians thanks to top quality parts. This time we’ve received some interesting novelties like excellent carbine replicas with Electric Blow Back system, hop-up chamber and wide selection of cylinder sets for different kinds of replicas. Привет! We have just received a new delivery of tactical equipment and apparel from the East: Russian TAG Wear / Modox! Products from this brand are used by Russian Federation soldiers and in the last delivery you can find few interesting novelties: tactical vests and bandanas in SS Lieto and Silver Leaf camo. Fans of Amoeba Airsoft will surely be pleased to see the newest delivery of this brand where they can find best-selling AM-013 "Honey Badger" replica in black and dark earth version. All Amoeba replicas are equipped with EFCS module (Electronic Firing Module System). Thanks to excellent knife sharpeners from American brand Lansky® you will be able to keep your blades sharp! New delivery contains interesting novelties like LPUCK or folding diamond sharpener FP-1000. Something special for fans of high quality blades – new delivery of renowned SOG Specialty Knives, Inc! Among them you can find interesting folding knives and models from famous SEAL Pup line. Check out new product from Armored Claw – very popular Shield model in Cut version, perfect for hot weather. The most distinctive part is the stiff protector made of original Kevlar®. For today’s video, we’re going back in time with the Rushing Russians SoCal chapter CaSN: Gruppa Soldati to look at some of the side impression kits that they do. The kit we are discussing today are the Soviet VDV (Russian Paratrooper) and the insurgent Mujahideen for a conflict that took place from 1979 to 1989. This is great for the more niche events which deal with historic conflicts. Suggested Energy Source 9.6V / 11.1V battery, Buffer Tube Type & Crane Stock Type. -Aluminium 6061 receiver with CNC engraved BRO marking. -TWS (Training Weapon System) Interchangeable Motor Grip is a M4/M16 grip for AEG. It is designed to improve ergonomics with interchangeable front and rear inserts for personalized hand fit, gives the operator maximum comfort and control over the weapon. Manhunt is a new airsoft brand focusing on manufacturing niche and boutique products. DYTAC will now distribute the ManHunt Teflon coated Cylinder for AEG gearboxes, and ManHunt Gun Blue; a metal refinishing solution that can be used for touching up or completely reblue most airsoft aluminium or steel surfaces. ManHunt will be producing more specialty products in the future; interested customers please contact DYTAC for ManHunt product updates and inquiries. Military 1st Summer Bank Holiday Sale! 15% OFF everything this Summer Bank Holiday weekend! Make sure to visit Military 1st online store at www.military1st.co.uk to discover your special Discount Code. Enjoy our biggest and longest ever sale! Offer valid from 27 to 29 August 2016, until midnight.